The weekend of 21-22 April saw our group's first major event, a weekend of activities coniciding with Charlotte Brontë's birthday for which members based in Belgium were joined by those from the Netherlands and also by a group of Brontë Society members from the UK (the London and South-East branch) led by Margaret McCarthy. This was a first in the Brontë Society, as it is the first time that such an event has been conceived and organised by members actually based in Brussels and able to offer an insider's view of the city and insights about life in Belgium. We were able to draw on the experience of Eric Ruijssenaars, Selina Busch and Maureen Peeck O'Toole, who helped to set up the Society's trips to Brussels in 1993 and 2003. Now as then, Eric's research on the Brontë places in Brussels and Selina's maps and drawings recreating the Pensionnat and Isabelle quarter were invaluable. The programme for Saturday, on which most of the events took place, included a guided walk round the main places connected with the Brontës, a visit to Chapelle Royale (where the sisters went on Sundays) where we were given a talk on its history and that of Protestantism in Belgium, a "birthday" tea party and a dinner followed by some entertainment. A new feature was that the guided walk was led by a new member of the group who is however not new to Brussels, having lived here and written about it for over 15 years. Derek Blyth is the author of some of the main guide books on the city and has always been fascinated by the Brontës' connection with it. His Brussels for Pleasure - 13 walks through the historic city includes a Brontë walk. This, however, is the first time that he has guided a group of enthusiasts in person! To his main Brontë walk centred on the site of the Pensionnat, Derek Blyth added a second one, a mystery tour devised especially for our visitors. When they arrived on Friday evening we were all whisked off by him to see some spots with lesser-known or speculative Brontë connections, such as Place des Martyrs or the building in front of which Derek thinks Lucy Snowe may have fainted when she was found by Dr John. After a relaxed morning over coffee in Grand'Place, lunch on the roof terrace restaurant of the Museum of Musical Instruments with its fabulous view of Place Royale, so often crossed by Charlotte Brontë, and a visit to Chapelle Royale where she worshipped, came the Brontë walk proper. The territory for this one was more familiar but some novel features were incorporated: readings from Villette and from letters by an obliging "Charlotte" in the group, visual aids (old street views, pictures Charlotte saw in exhibitions during her stay), and, again, Derek Blyth's own theories about some of the routes taken by Lucy/Charlotte. Concentrating in fascinating detail on what is geographically a smallish area, in two hours we covered a lot of ground in terms of the history of Brussels and the background to the Brontës' visit: not only where their English friends lived but the wider British community of the time and its amenities in and around Place Royale, for example. After the tea party and dinner, the day was rounded off by a quiz and readings from Villette by Selina Busch and Brian Speak, introduced by Maureen Peeck. This international weekend (a coming together of members from four different countries, since we were also joined by two enthusiasts from the Czech Republic who had met some of us at Haworth!) was a light-hearted and enjoyable event with plenty of time to talk to new friends and catch up with old ones. We are planning to make this April Brontë weekend an annual event and would love to invite more groups of members to join us in between the big excursions organised by the Society. Is anyone interested for next year? On Sunday 22 April I went to see the musical “Jane Eyre” which was being performed in Beveren (Belgium). I was able to have a short chat with someone from the production team, Mr. Paul Van Moere. He gave me some information on the background. Every 5 years the arts centre embarks on an ambitious musical project. “Jane Eyre” is their third project. The choice of the musical “Jane Eyre” was purely accidental. The musical had been performed in Toronto, on Broadway (New York) and in London, but had not yet been performed on the Continent by a major theatrical company. That was the main reason for selecting this musical. The musical was created by the American composer Paul Gordon, who wrote the music, the lyrics are from John Caird. The original texts were translated in Dutch by Ronny Verheyen. The musical is staged for the first time on the Continent and in the Dutch language, which make it a unique experience. The musical is staged by the Arts Centre Ter Vesten in close co-operation with some amateur dramatic societies and the music academy from Beveren. The auditions and rehearsals started last year. The result of their efforts could be seen from 13 to 30 April. Due to the enormous success (nearly all evenings were sold out!!) some extra performances were staged on the Mondays. 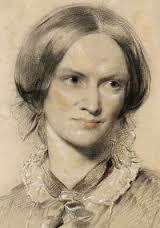 To Brontë fans the story of Jane Eyre is well known. The musical is a free adaptation of the original book, but the story is on the whole respected (although sometimes shortened). The story is told mainly by means of songs relieved by narration. The performance involved quite a number of persons. The music was both dramatic and powerful on the one hand and sensitive and touching on the other hand. The lyrics were sometimes very moving even to the extent that a tear fell from my eyes. The staging and performance of the musical was done with great care, with respect for the original story of Charlotte Brontë, with precision and correctness as far as dresses were concerned, and the beautiful music just added the final touch. I thoroughly enjoyed it and was glad that I have been able to experience this wonderful adaptation of Charlotte’s novel. As we all know the story ends well: Jane Eyre and Edward Rochester find happiness in the end. Or, to say it with the lyrics of their last song, “if you don’t know the way, just follow your heart”. And that is exactly what Jane did! In the margin of the musical there was, amongst other things, a marathon reading of the book Jane Eyre in Dutch. The reading went on before the performance, during the break and was finished after the performance on 22 April around 6 p.m. A cosy corner was set up in the foyer of the Centre where volunteers read part of the book. Very well done too! In the cafeteria you could get your “Jane Eyre” tea, which of course I did! In the period that the musical was staged, there were also other events such as 2 Jane Eyre films, and other costume drama (Pride and Prejudice, Oliver Twist, Mary Poppins), there were lectures on fashion and tea rituals in Victorian times, etc… In the foyer of the Arts Centre there were also glass cases with books/videos from and on the Brontës and on subjects related to Victorian times. I must say, I was very impressed with the whole organisation of the event. All credit certainly goes to the production team and all those involved in the event, either on the stage or behind the scene. They made this production the enormous success that it was. CONGRATULATIONS !!!! 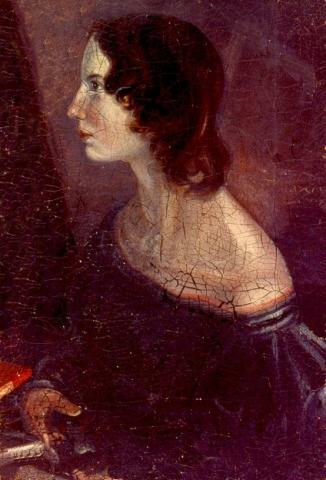 We're also indebted to Bronteblog for this post. The arts centre in Beveren, Belgium (Cultuurcentrum Ter Vesten, Zwarte Dreef, Beveren) is staging several performances in Dutch of the Gordon & Caird musical Jane Eyre, from 13 - 30 April (more information at http://www.janeeyre.be/). And a marathon reading of the novel is taking place from 10 - 24 April in the Beveren library (http://www.janeeyre.be/). We are indebted to the invaluable Bronteblog for drawing our attention to a recent article on Charlotte Brontë, Villette and Brussels by Trilby Kent, a Canadian journalist living in Brussels. Entitled "Brontë in Brussels", it is published in the California Literary Review. The author discusses Villette and compares her own experiences as a newcomer to Brussels, a city that is "alternately reviled and celebrated by its native and expatriate population" just as it is by Lucy Snowe, with those of Charlotte Brontë / Lucy. "In the shadow of the de Cleves-Ravenstein mansion, a flight of stone steps leads down to an inconspicuous cobbled alley where the Rue Terarken now ends. There, opposite an underground car park, the corners of three buildings form an abrupt wall. Beyond this, somewhere along the hill that slopes down from the Place Royale to the town centre, was the Pensionnat Héger where, for two years, Charlotte Brontë lived, taught and wrote. The school was demolished in 1910 and today a concrete office block stands in its place, beside a fifteenth-century sandstone edifice. 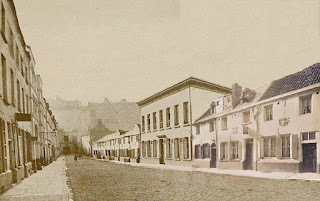 Yet, from the environs of the old Rue Isabelle – formerly the site of kennels for ducal hounds – one can perhaps still conjure the shadowy scene that greeted the young Brontë when she arrived in Brussels in 1842". Read the whole text of the article at http://www.calitreview.com/Essays/bronteinbrussels_5047.htm. A welcoming message from Professor Maddalena De Leo, a university teacher and writer, who is one of the most active members of the Italian branch of the Brontë Society. She has published articles in Brontë Studies and a novel for teenagers about Charlotte Brontë, UN'@MICA DAL PASSATO, a description of which can be found on the Brontë Parsonage Blog for October 2006. I really welcome your website on the Brussels Brontë connection. I've always had a particular interest in Charlotte's Belgian years; I studied Dutch at University and in 2002, at last, I could realize my dream to visit Brussels to see in person the Brontë connected places. It was wonderful to follow the Brontë itinerary so well described in Eric Russenaars' book and a real emotion for me to see Place Royale, St. Gudule's Cathedral and above all the famous steps on the Pensionnat site. In this tour I and my children were guided by a Belgian friend, who so kindly showed us the right way and also took us to Waterloo, where also Charlotte sometimes walked. Please, consider me among your friends from neighbouring countries! I greet you all with real enthusiasm.